Contact our company for quality cleaning services. At Pixie Dust Cleaning Services, we are a friendly, reliable, cleaning company. From spring cleans for your home to deep cleans for your office, you can be assured of the quality of our work. 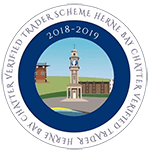 Based in Herne Bay, we offer our services in Herne Bay/Whitstable areas. 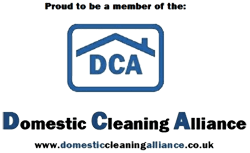 At Pixie Dust Cleaning Services, we are fully insured and are members of The Cleaning Alliance. Based in Herne Bay, we offer our services in Herne Bay/Whitstable areas. We offer the following services: domestic cleans, weekly/biweekly cleans, one off cleans, our bespoke service is tailored to your individual requirements, end of tenacy cleans, Move in/out cleans, Commercial cleans, Offices, Student letts, Before and After party cleans. We aim to make your life easier and happier by giving you your family time back. We will do your cleaning while you spend your time doing the things you enjoy. We provide high-quality cleaning services that are affordable, reliable, trustworthy & outstanding. Amazing service that is friendly, efficient and sparkling. The Fairies have been absolutely fantastic when my fiance and I really needed help and our flat has never looked so clean. Thank you so much for the cleaning of my oven it looks great and the shower cubicle is fantastic, can't wait to have a shower as it is so clean now. Brilliant job on my cooker looks just like the day we brought it, would highly recommend to anyone. Will be using Pixie Dust Cleaning Services again. Contact us on any of the following methods or use our contact form below. © Copyright 2019 Pixie Dust Cleaning Services.